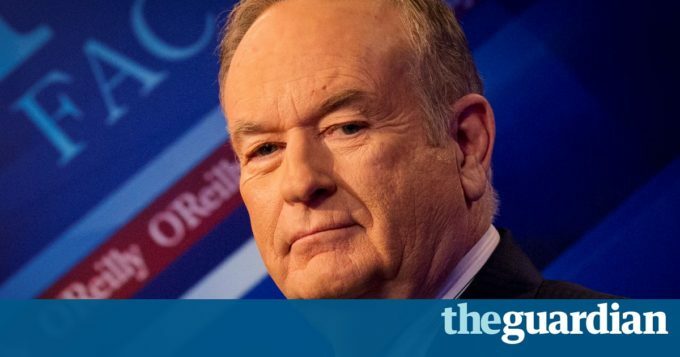 Bill OReillys top-rated Fox News show may be starting to feel a financial sting, with 12 firms taking action after allegations that he sexually harassed several women. The automakers Hyundai, BMW and Mitsubishi, the financial firm T Rowe Price, the personal finance site Credit Karma, the insurer Allstate, the drugmakers Sanofi and GlaxoSmithKline, the pet food company Ainsworth, the mens shirt seller Untuckit, and the online marketing firm Constant Contact said Tuesday that they had joined Mercedes-Benz in pulling their ads from the show. The moves come after a weekend report in the New York Times that OReilly and his employer paid five women $13m to settle harassment or other allegations of inappropriate conduct by Foxs star. Hyundai said it currently had no ads on The OReilly Factor, but it pulled spots on future episodes. The automaker says it wants to partner with companies and programming that share its values of inclusion and diversity. BMW said it suspended advertising on the show due to the recent allegations, as did T Rowe Price, Sanofi, Ainsworth and Constant Contact. Allstate said support for women was a company value and it had also suspended advertising on the show. GlaxoSmithKline said it had temporarily put a hold on ads on OReillys show while it reviewed the situation. A Mercedes-Benz spokesman said Monday night that the company had pulled ads from OReillys show and reassigned them to other Fox News shows. Sanofi and Untuckit have the same plan. BMW said it was not sure where it would place its ads instead. OReilly is Fox News top revenue producer, according to the research firm Kantar Media, bringing in over $178m in ad dollars in 2015 and $118.6m in the first nine months of 2016. Fox News itself makes up one-fifth of parent company 21st Century Foxs profit, according to estimates from Anthony DiClemete, a media analyst with the Nomura investment bank. This article was posted in Design and tagged Advertising, Fox News, Sexual harassment, US news, US television, US television industry.